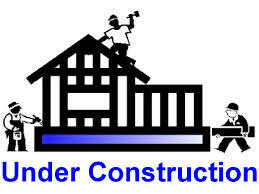 Buying new construction in Wilmington Delaware. The world of buying new construction is miles apart from walking into a completely finished home, having a home inspection and settling on the home. It involves a lot, a builder, a builders representative, a foreman and a buyer that needs to be well informed and very patient. All builders use their own contract for purchase of their property. It is vital that you read that contract and feel completely comfortable before signing. At The Robbins Team , we believe in that so strongly that we have arranged to have an attorney available to you to review any builders contract for and with you, at no expense to you. 1. Most builders do not give a closing date. They will tell you when they think they can deliver, however if you read the contract most have 2 years and more if weather or extenuating circumstances prevents the two year time frame. Be sure you are flexible to their potential settlement date. 2. If there is not a mortgage contingency, you may be obligated to purchase the house whether you are approved or not. Also, if there is a mortgage contingency date, it may say that if you are not able to get one on that date the builder has the right to get one for you. If they can not obtain that mortgage, then you can get out of the contract. 3. Sometimes there is a clause where the builder can substitute materials that are similar to the model but not the same. Just be careful and get everything in writing as to what you expect upon delivery of your new home. No surprises! If you communicate with the site agent and the builder and have a reasonable time frame and reasonable expectation, your new construction experience can be a learning and hopefully positive outcome!